In the wake of the Tea Party targeting scandal, Republicans say the IRS should hit the brakes on implementing Obamacare provisions. But the IRS has a central role in making sure the new law works. The IRS has a big target on its back these days. Its leaders have been pummeled on Capitol Hill over inappropriate targeting of Tea Party groups applying for tax-exempt status. And some Republicans say they want the IRS to stop issuing and enforcing rules related to Obamacare at least until a federal investigation of the case is over. Republicans have tried repeatedly to repeal the Affordable Care Act. And it's unclear whether the IRS scandal will let them slow-walk the law's implementation. 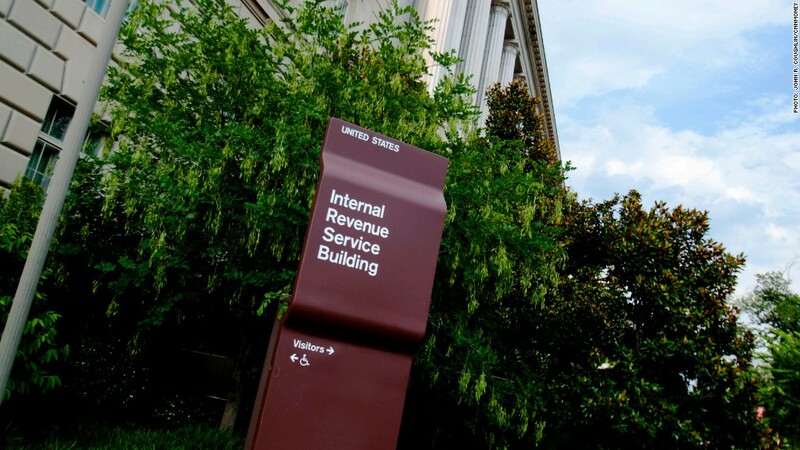 Regardless, the push adds to the pressure the IRS is under to help ensure that the law's implementation will not be a "train wreck," as some have contended it could be. This much is known for sure: The IRS is charged with playing a key role in implementing health reform. "Tax provisions included in the Affordable Care Act represent the largest set of tax law changes the IRS has had to implement in more than 20 years," the Treasury Inspector General for Tax Administration noted in a recent report. The ACA has some 500 provisions, and more than 40 amend or add provisions to the tax code, according to the report. It also adds considerably to the agency's administrative workload. Collect information from employers and insurers: The ACA requires employers to tell the IRS whether an employee has insurance. Companies with at least 50 full-time employees must also indicate whether they offer "minimum essential coverage" under ACA standards. At the end of the year, insurers must provide the IRS and policyholders a form verifying coverage status, and individuals must include those forms with their federal tax return. While the tax agency will have information on someone's coverage status for compliance purposes, it will not be given personal health information. Figure out who qualifies for subsidies or Medicaid: The ACA will provide federal subsidies known as premium tax credits to help millions of people pay for insurance. But to qualify, individuals and families must meet income requirements and buy their insurance on the newly created insurance exchanges. When a person applies for coverage on an exchange, the information he provides will be cross-checked with income, job and coverage information from the IRS. That cross-check will determine whether someone is eligible for a premium credit, or if he's eligible for Medicaid, which the ACA expanded. While the IRS is authorized to share income and other data with the exchanges and some federal and state agencies, those third parties may only use that information for determining eligibility for coverage and subsidies, according to the TIGTA report. Determine who must pay a penalty: Starting in 2014, individuals must buy qualified health insurance or pay a penalty. Some groups are exempt from the new rule, including those whose income is so low that they're not required to file a tax return. The IRS must assess who owes a penalty. In 2014, the penalty will be no more than $285 per family or 1% of income, whichever is greater. In 2015, the cap rises to $975 or 2% of income. And by 2016, the penalty would be up to $2,085 per family or 2.5% of income, whichever is greater. The dollar amounts for a single adult would be $95, $325 and then $695 during that same time period. However, the penalty may not exceed the national average premium of the lowest cost policy on the new health insurance exchanges. In the same way the IRS verifies wages and tax withholding, it is supposed to verify whether someone has coverage or owes a penalty. The law prohibits the IRS from putting liens or levies on your property to collect the penalty. It may, however, be able to withhold your future refunds if you don't pay. Penalize employers that don't provide affordable coverage: Starting next year, employers with 50 or more employees must provide affordable, qualified coverage to employees. If they don't, they have to pay an "Employer Shared Responsibility payment." The IRS must establish rules and guidance for employers in this regard and collect the penalty from them.